#SugarFreeSeptember || Day 30 - CounterCultural. CounterCouture. Breakfast: Banana and apple in rhubarb activia. Surprisingly tasty. I also had some almond milk in order to keep my all important calcium intake up for the pesky RLS. 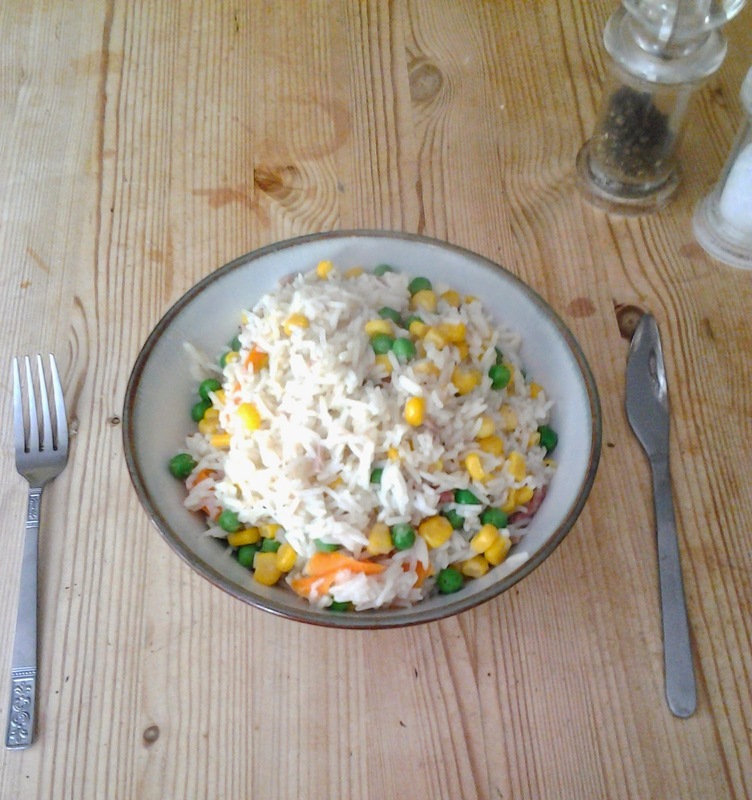 Lunch: Rice with my tuna, ham & sweetcorn mix, peas and carrots. This was a trip down memory lane as I used to eat massive bowls of vegetables and rice while at university, particularly if my mate Pete was over around lunchtime. It just needed some cheese. Dinner: Marinated for several hours in chinese five spice and soy sauce, pork steaks with jacket potatoes, peas and sweetcorn. So what have I learnt from my 30 SFS days? Firstly, it is possible to live on three meals a day without snacks. I know, it sounds crazy in this day and age where five or six small meals are encouraged to balance blood sugar. Yet three large meals have been enough to keep me going- and that’s coming from someone who works outdoors most of the time. Secondly, intermittent fasting actually works! I really did not think that I would be able to live without breakfast. I like my food and my stomach does not like missing breakfast. So fasting was a real case of mind over matter, which made me very smug when I did manage a 17 hour fast. Thirdly, I can live without refined sugar! More personally, I can live without skittles and mentos. As someone who turned to lucozade and sweets whenever I didn’t sleep well (way too often), this is a highly significant step forward for me. Go me! I plan on continuing with these three choices, along with general clean eating. Even the fasting that I found so difficult, on a weekly basis hopefully. My aim at the start of this year was 9.5 stone and I still have 1.5 stone to go. So that is my aim for the next three months. Keep up the clean eating and hopefully stay a size 12. Fingers crossed. Thanks for all your support in just reading these articles.